Daily Five is not a curriculum - it is a framework for the literacy block within the classroom. Daily 5 uses explicit teaching and practicing of behaviors teachers expect in each of the 5 components. The five components include Read to Self, Work on writing, Word Work, Read to Someone, and Listen to Reading. The goal of Daily 5 is to help students become independent in their reading and writing, which them allows the teacher to work in small groups with students. The routines and procedures of each component become ingrained in the students to the point of being habits. After seeing and using Daily 5 in the classroom it is amazing to see the improvement in students reading and writing because teachers are able to work with them in small groups and students are given more time to read books they enjoy and write about things they choose. I also use parts of Daily 5 in my small groups and one-on-one groups. Read to self is the first component of Daily 5. This is the most important component of all of them. The students are given the opportunity to choose books of their choice that are GOOD FIT Books. The students are taught to pick GOOD FIT books through the IPICK strategy, and are taught through modeling what Read to Self will look like in the classroom. 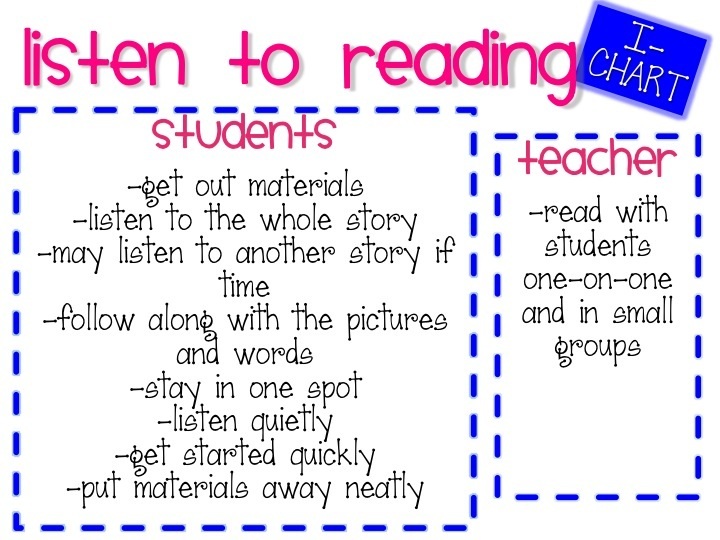 Listen to Reading is another choice the students is given during the Reading Block. Students are given the choice to listen to books on tape, books on the computer, or books from the Reading Curriculum. This allows the students to listen to Fluent Reading. Work on Writing is the 2nd park of Daily 5 that is introduced. The teacher will discuss with the students what work on writing should look and sound like in the classroom. Students will model with each other how to get materials, pick ideas to write, and get started quickly. As students get comfortable with writing on their own, the teacher then has time to help students one on one with their writing. The last choice for Daily 5 is usually Read to Someone. The teacher and student work together to discuss how to read with a partner. This is modeled a lot among the students before given as a choice. 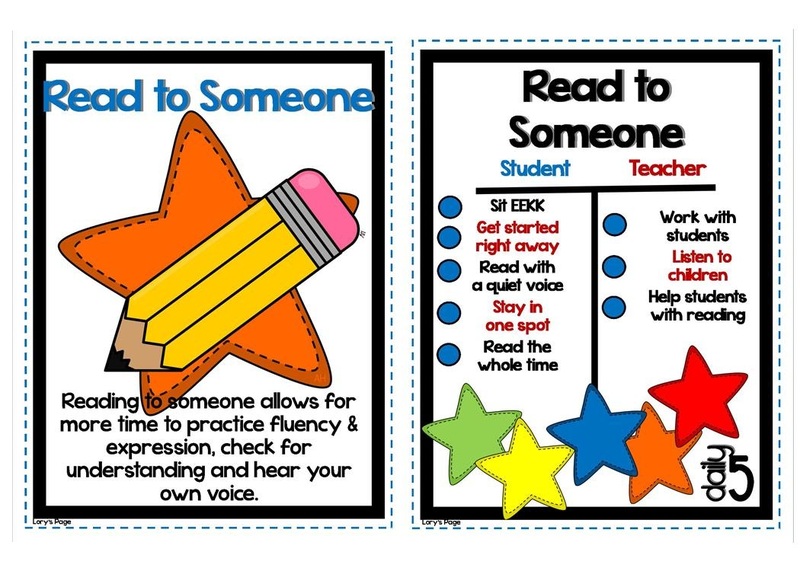 Read to Someone allows the students to have yet another choice during their Reading Block.